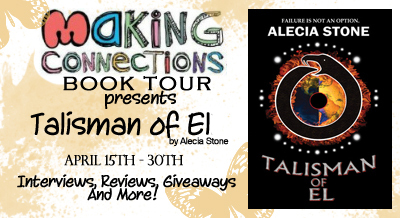 Today as part of the Making Connections Book Tour, I have with me Alexandra Dench, one of the characters in Alecia Stone’s book “Talisman of El.” Please make sure you check out my review, and I hope you enjoy Alex as much as I do! Alecia: I’m very fond of many of the characters from Talisman Of El, but there are one or two I have a soft spot for. Alexandra Dench is a character I really enjoyed writing about. I would like to introduce her to you so you can get to know a little more about her. Alex lives in Capeton, which is a fictional town in West Sussex, England. What is Alex’s favourite colour? She would have you believe her favourite colour is blue, but if she were being honest, she would admit her favourite colour is actually pink, which happens to be the colour of her room, though she claims it’s been that way forever. Apparently, she doesn’t have the time to paint over it. Me thinks the lady doth protest too much. Alex’s parents are Matthew and Maria Dench. Matthew is a travel photographer, so he’s often away from home. Maria is originally from Columbia. Alex doesn’t like to bring friends to her house because her mother is bipolar. Does Alex have a love interest? Of course she does. It’s none other than her best friend, Charlie Blake. But don’t tell her I said anything. I’d never hear the end of it. 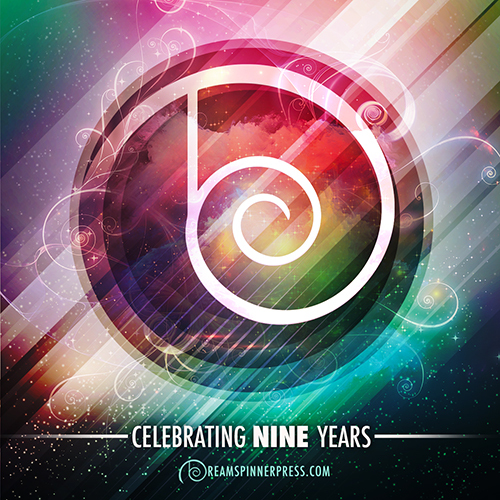 Being a fan of fantasy fiction, Alecia Stone’s novel was inspired by her love for paranormal mysteries. She loves to write for it is a means of escaping her reality if only for a moment. 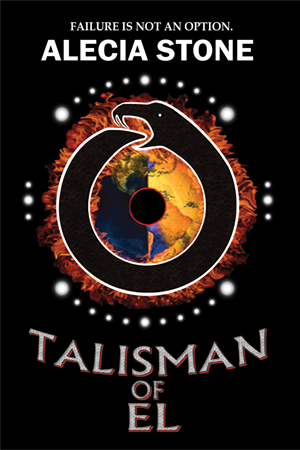 Talisman Of El is her first book. She lives in the England, UK with her family. Thanks again for stopping in to meet this great character! Thanks for having us. Hope this gives people more insight into Alex. I’m glad I got to know a little more about Alex – she’s a great character!